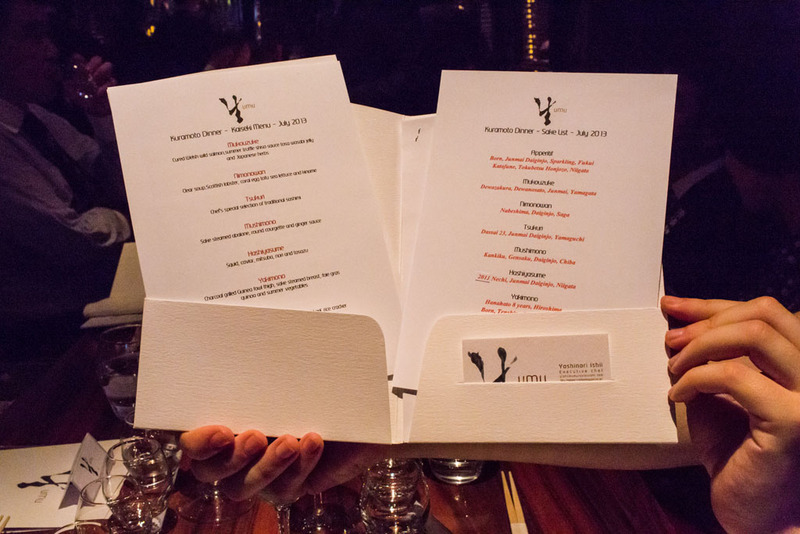 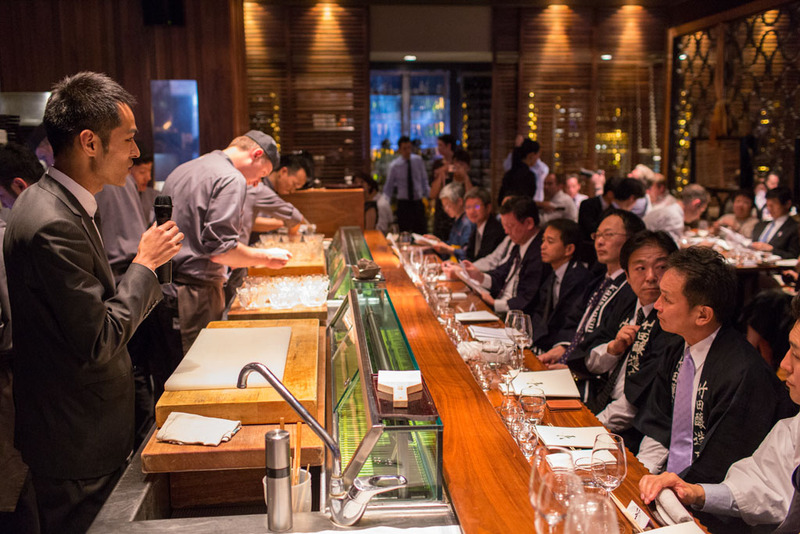 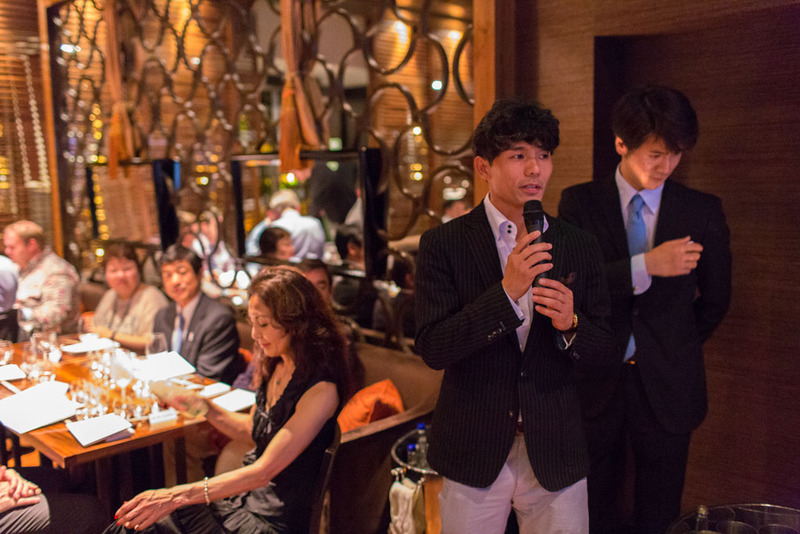 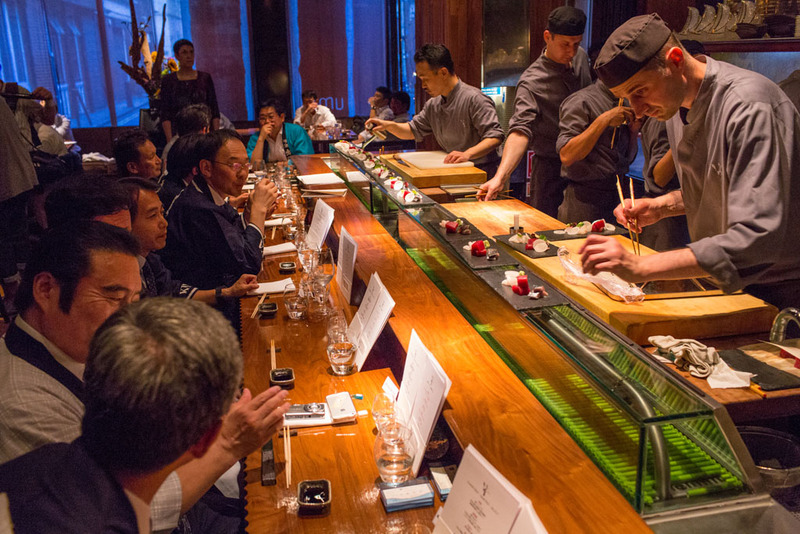 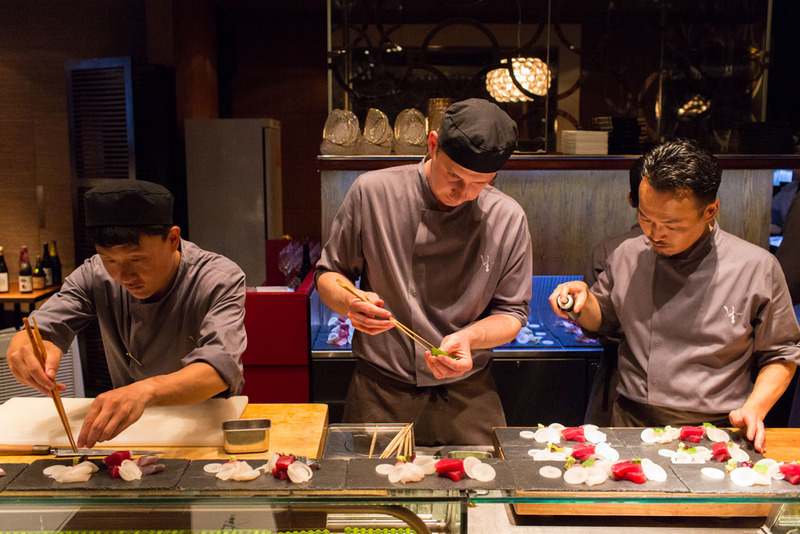 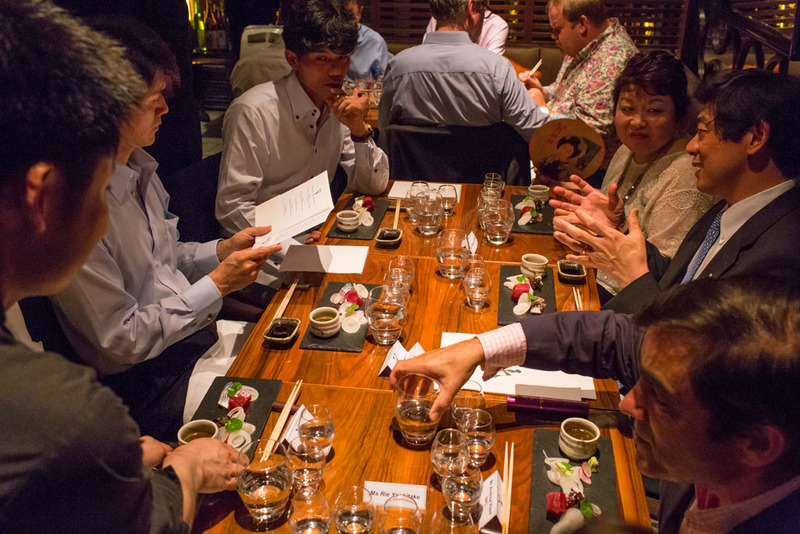 The annual Kuramoto Dinner, in partnership with the Sake Samurai and the IWC, was hosted by Michelin-starred restaurant UMU. 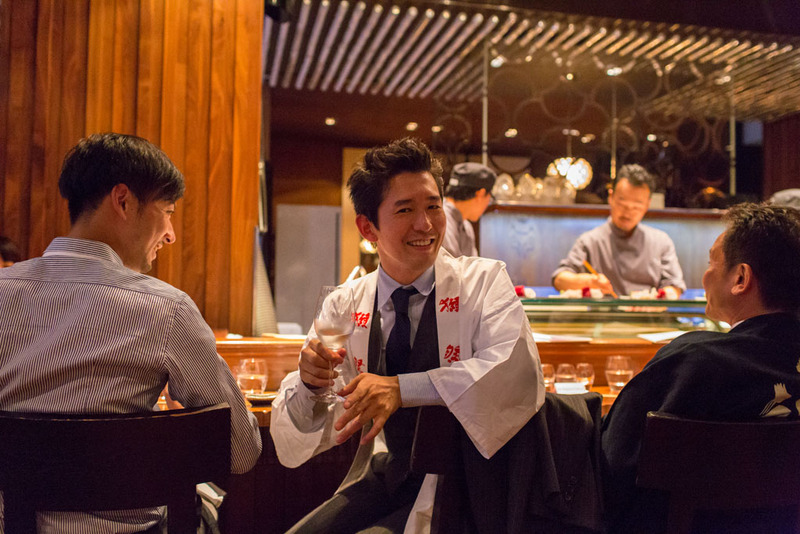 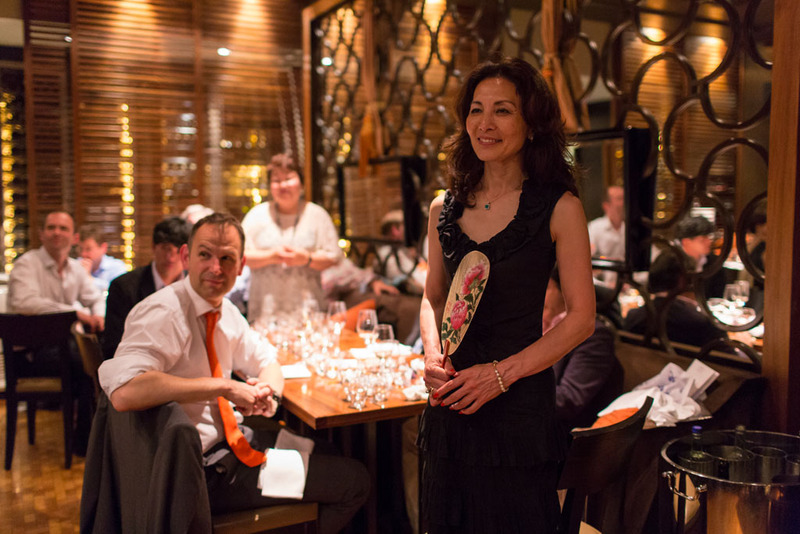 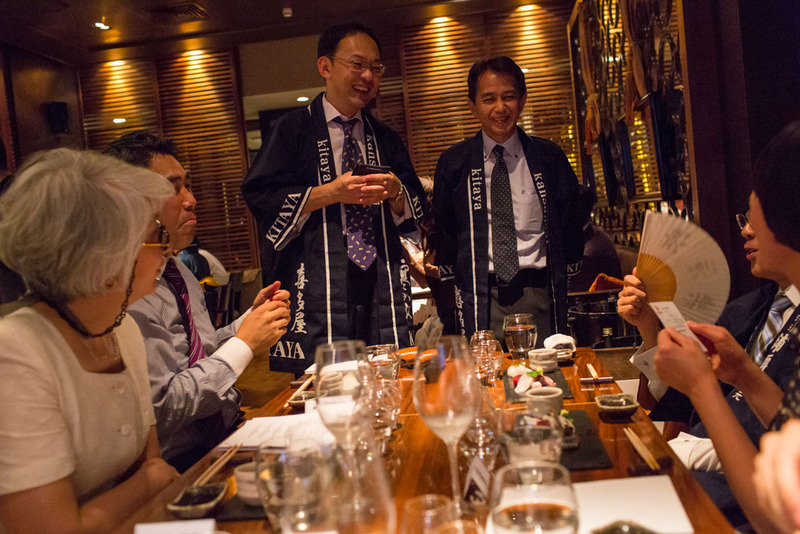 It was attended by trophy winning sake brewers in London to attend the IWC Awards Dinner. 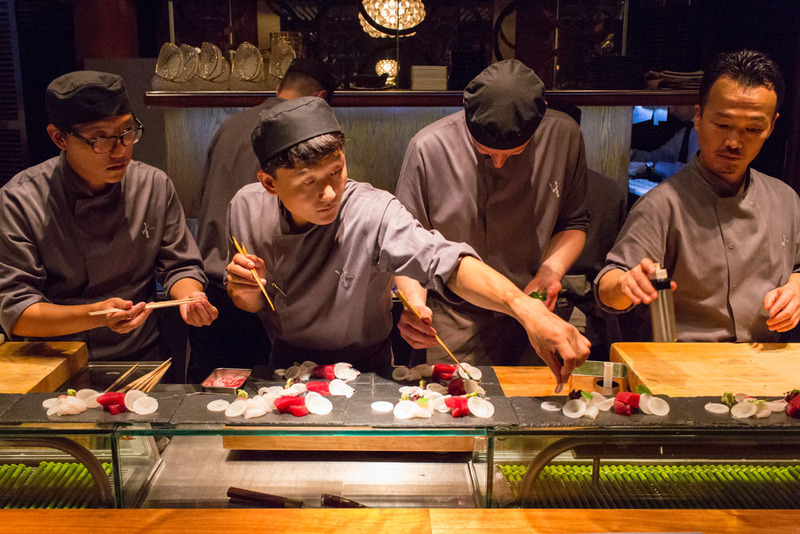 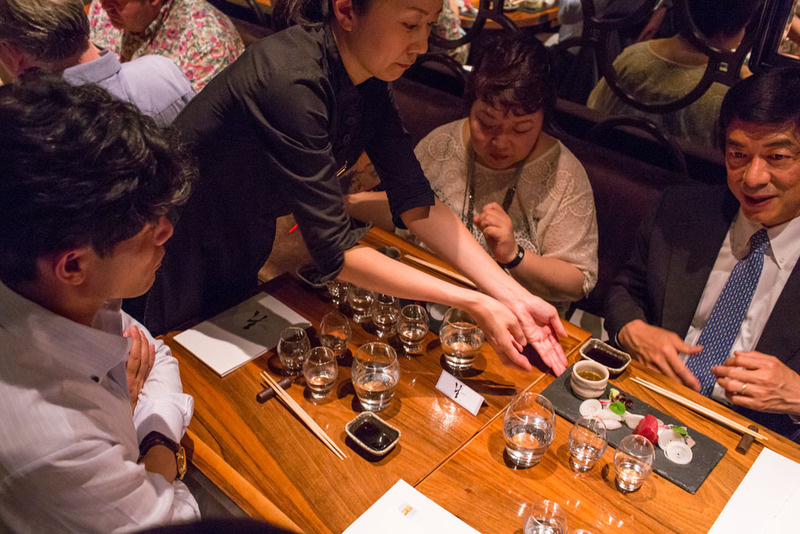 Executive Chef Yoshinori Ishii prepared a stunning eight course kaiseki meal, carefully structured to showcase a total of 12 IWC award-winning sake, including the Kitaya Gokujo Daiginjo, crowned 2013 IWC Champion Sake the following evening. 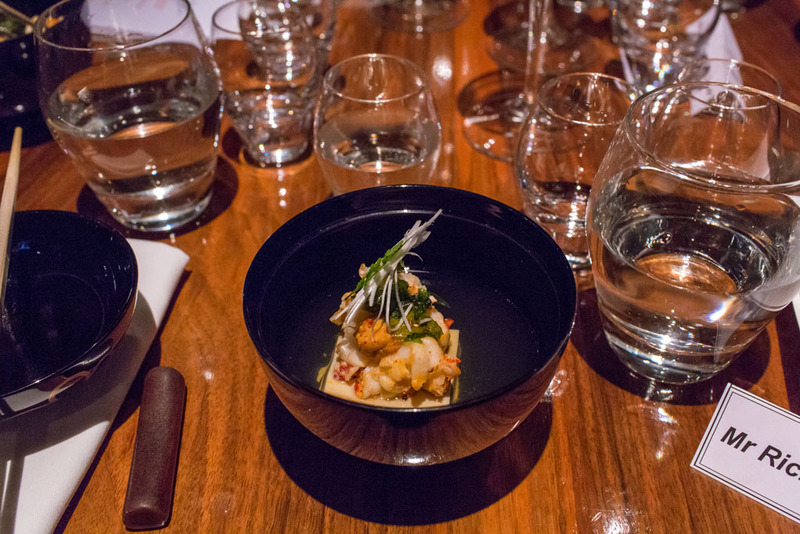 Seasonal ingredients, including courgette, asparagus, and strawberries, featured prominently throughout the meal, and Chef Ishii’s commitment to using locally sourced ingredients wherever possible was demonstrated by his inclusion of Welsh wild salmon, Welsh wild eel, and Scottish lobster alongside such traditional Japanese ingredients as shiso, mitsuba, nori and tosa vinegar. 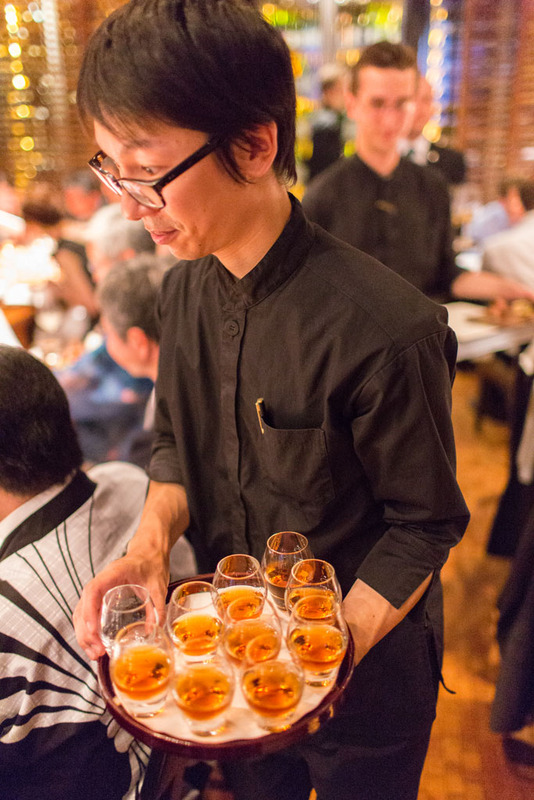 Interestingly, the yakimono, or grilled course, of Guinea fowl with foie gras, quinoa and summer vegetables, was paired with two rich and full-bodied koshu (aged sake). 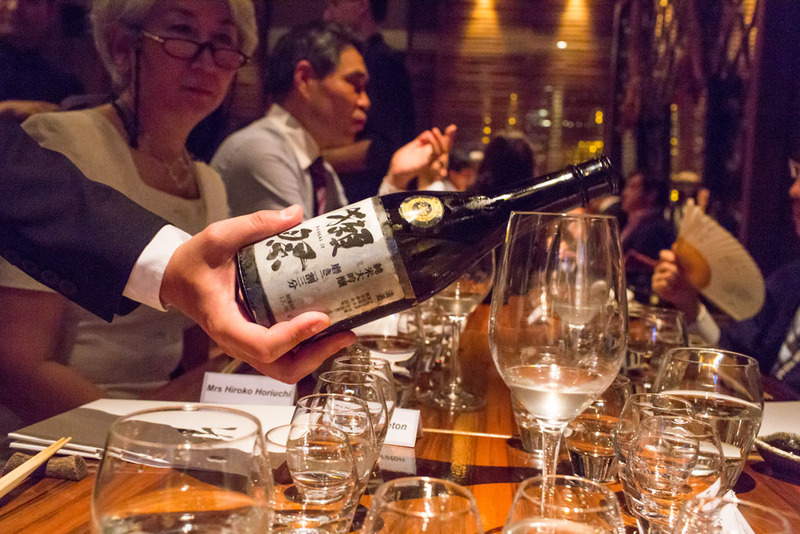 While there are no hard and fast rules on which type of sake should be paired with which course, koshu is more often recommended as an after-dinner drink or even a nightcap. 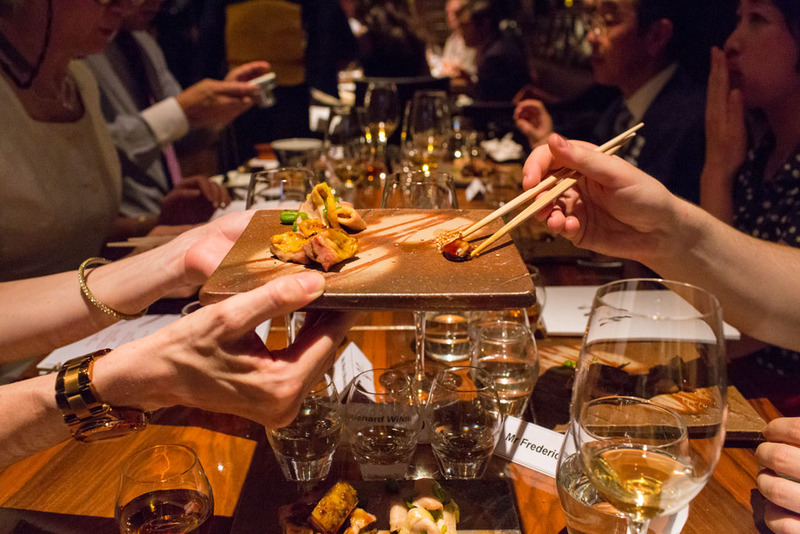 Serving it at this stage of the meal, paired with what many Western diners would likely consider to be the “main course”, worked to aptly demonstrate just how versatile each variety of sake can be. 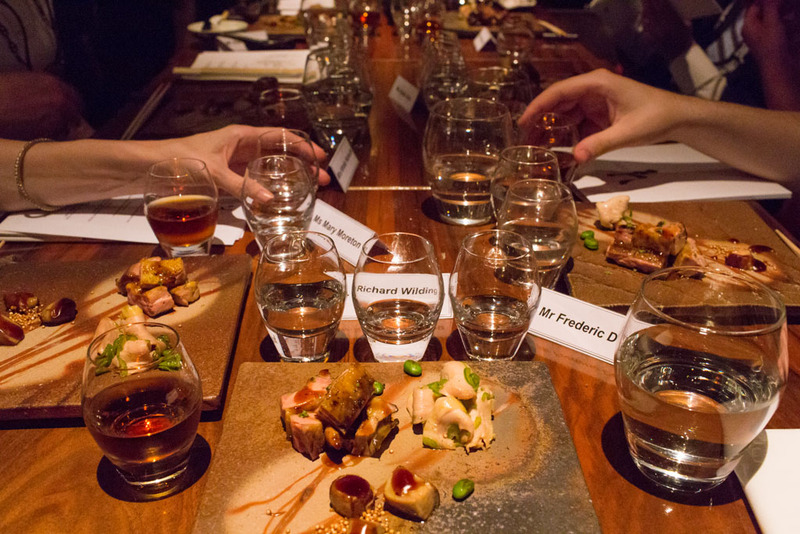 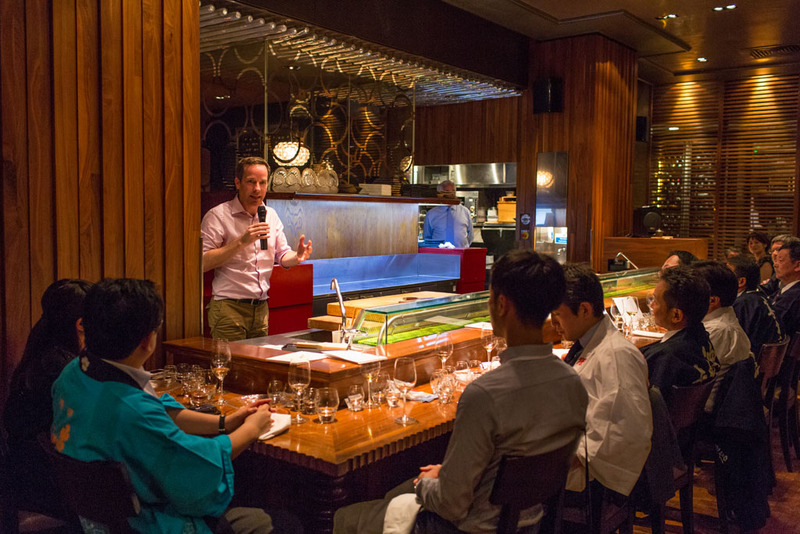 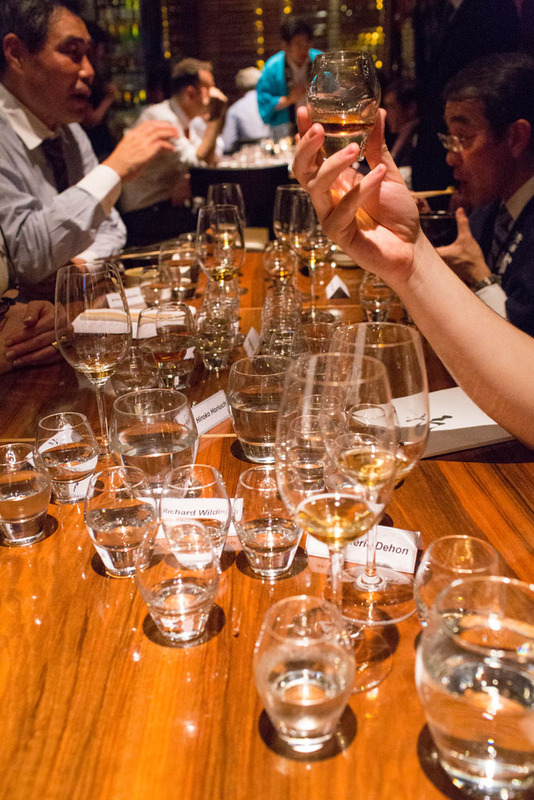 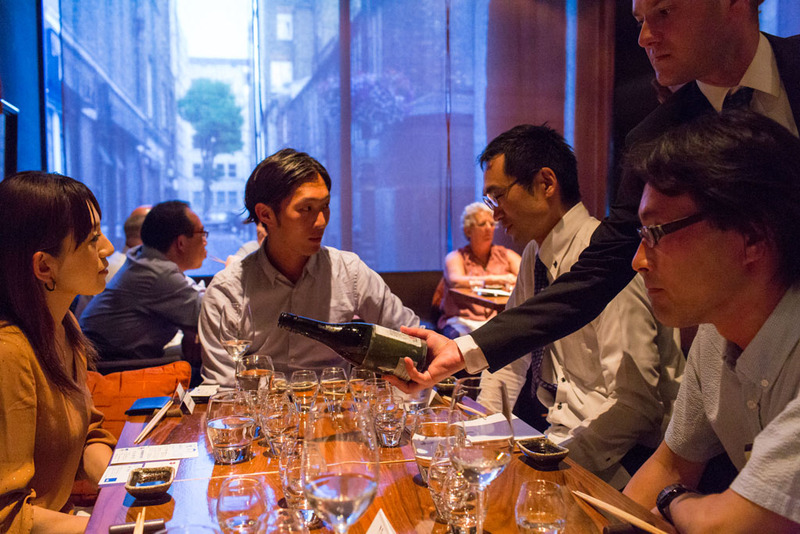 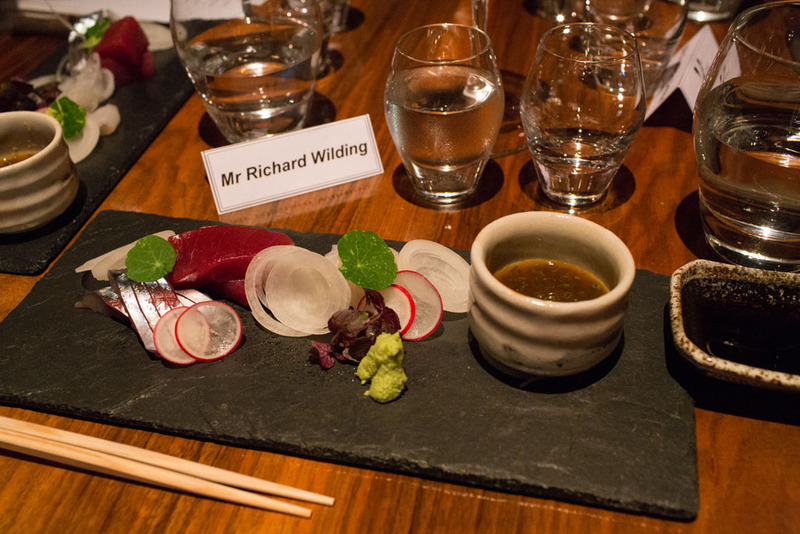 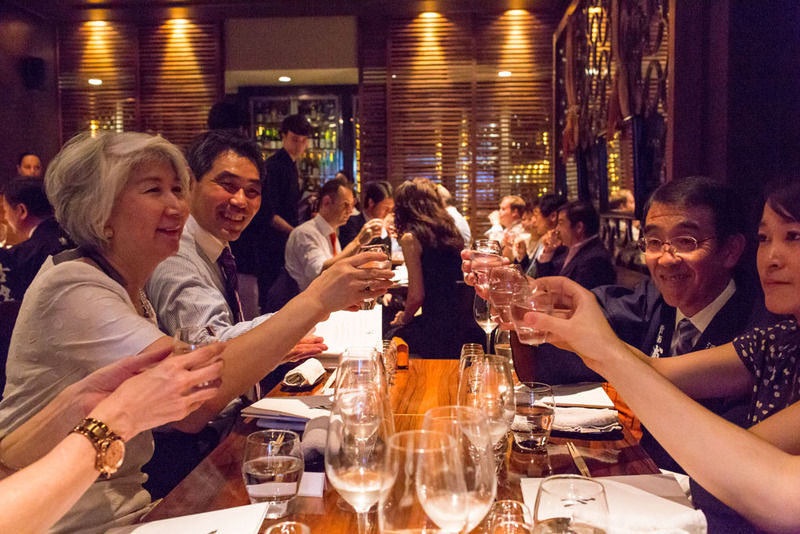 The dinner was also attended by the media and sake lovers from the general public, all united in their commitment to seeing sake continue its rise and rise in the UK.